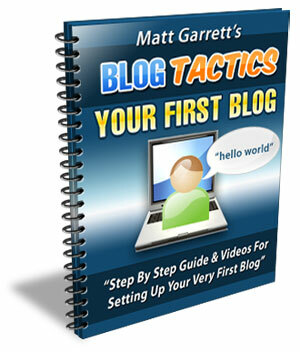 My friend Matt Garrett allow me to giveaway his Blog Tactics eReport to my blog reader, subcribers and customers. How would you like to learn more about blog and how to make money from your blog? This is FREE download and you’re not require to pay any red cents for it. This is a good report to increase your knowledge for free. I hope you get benefits inside the information in this free report. site without breaking the bank using free wordpress? That is the beauty of creating membership sites. Products that can be accessed online and offer value to your customer are great to sell. Paid memberships fit this description. Subscriptions on how to run a home business, paid newsletters on every subject imaginable, personal development, website hosting and just about anything you can think of, offering you a chance to create residual income. WordPress 2.2 Missing Update Button? Some wordpress user are getting the missing “Update button” problem with wordpress 2.2 version. That’s because every webhosting setting are not the same, so some wordpress user may experience missing ‘update button’ in theme editor. 1. Open your FTP and login into your web server. Then look for this folder called “Themes” in your wordpress folder. CHOMD “yourtheme” folder to 777 permission. then the problem should be solved. 2. If still cannot, then please CHOMD inside your theme php file to 666 or 777. What is CHOMD? And How to CHOMD? 1. In short story CHOMD is give permission to admin or outsider edit the file. 2. How to CHOMD ( set permission ) ? Open up your FTP software, and login to your web server, then right click on the folder or file you want to set permission. You will see “File Attributes” or “CHOMD”. Simply click on it and type the number like 666 or 777. Or you can check the “check box” and you will see the number change. If you have other better solution and better idea how to make the theme editor “update button” appear. Please post your comment here. Thank you. Posted on June 26, 2007 June 27, 2007 Categories Wordpress Review, Wordpress ThemeLeave a comment on WordPress 2.2 Missing Update Button?